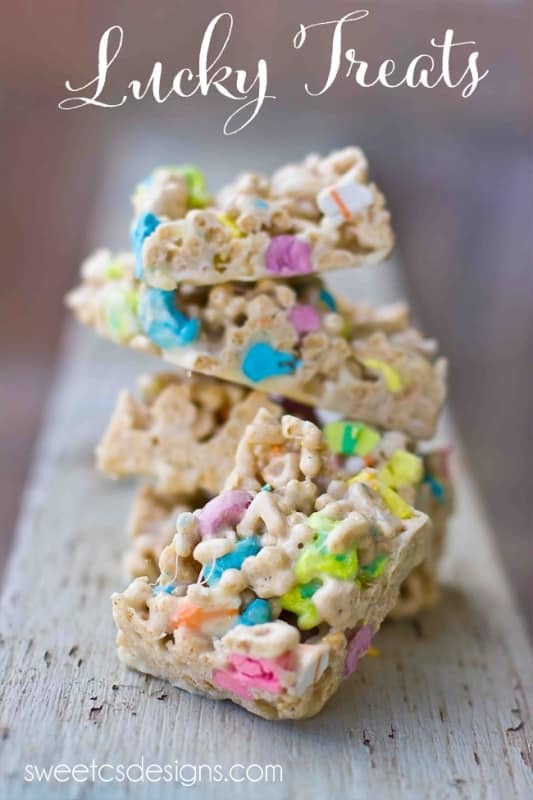 The perfect way to celebrate Saint Patricks day with kids – these Homemade Lucky Charms Treats are a great snack kids can make and perfect for school parties! 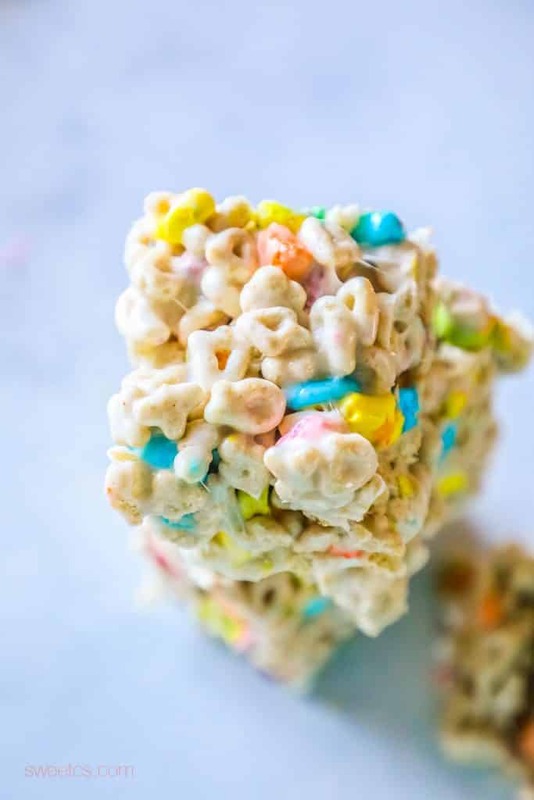 These fun Lucky Charms treats are no-bake, take just a few simple ingredients, and look party perfect! Have you seen the Lucky Charms Treats they sell in stores? I was a little skeptical when I first saw them. 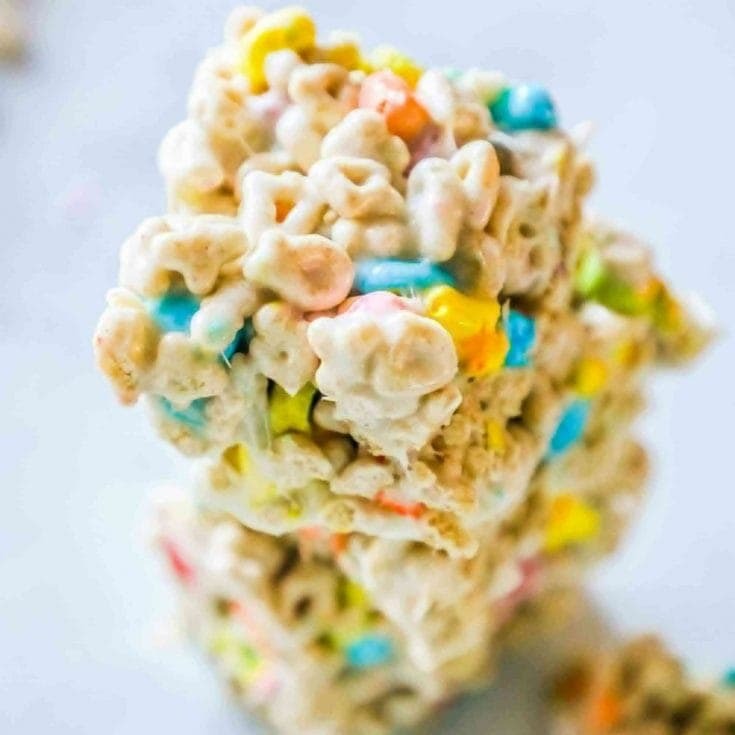 I figured it would be waaaay to sweet, like I sometimes find storebought Rice Krispy Treats to be, and decided I’d make them at home for the kids- which was a BIG mistake- because these Homemade Lucky Charms Treats are so hard to stop eating! I especially loved making these because my kids got to help cook. They have been patiently learning how to cook things on the stove (I have them stand in a chair, wearing a sweatshirt or something very thick, as well as socks and boots) and I let them try their hands at stirring. This is a very supervision-heavy task (I do not want any burns), and I am always sure to use deep pots when I let them stir to help prevent hot things from falling out. I was nervous to let them near the stovetop and get them involved, but ever since I have let them help (with certain things that don’t splatter, etc), they have been much more responsible in the kitchen. They know that things on the stove are hot and don’t try to grab at anything on or near the stove, and are patient to ask us if they can help. 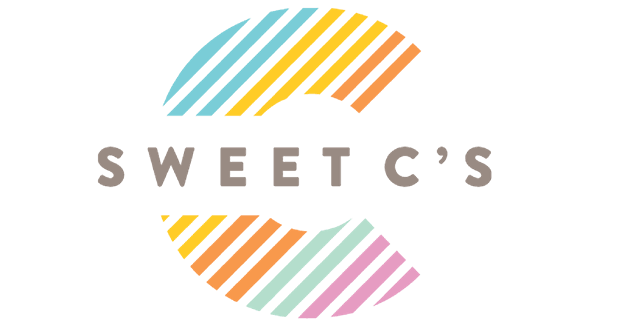 Getting your kids involved in cooking helps them respect the possible dangers and become more aware of potential dangers… and this is a great recipe to get them learning, as long as you pay very close attention and think your kids are comfortable following your every instruction. If you think this might be a bit advanced for them to stand over the stove, you could have them butter the pan you will set the treats in (which my almost two year old was more than happy to do as she’s not stove-ready). While we waited for these to cool, we ate rainbow quesadillas and made rainbows and leprechauns (printables and recipe coming soon), and talked about all the colors of the rainbow and pots of gold. It was a blast, and while they didn’t really learn a lot about the actual Saint Patrick, it got them interested in cooking, colors, and the idea of a fun holiday to look forward to. 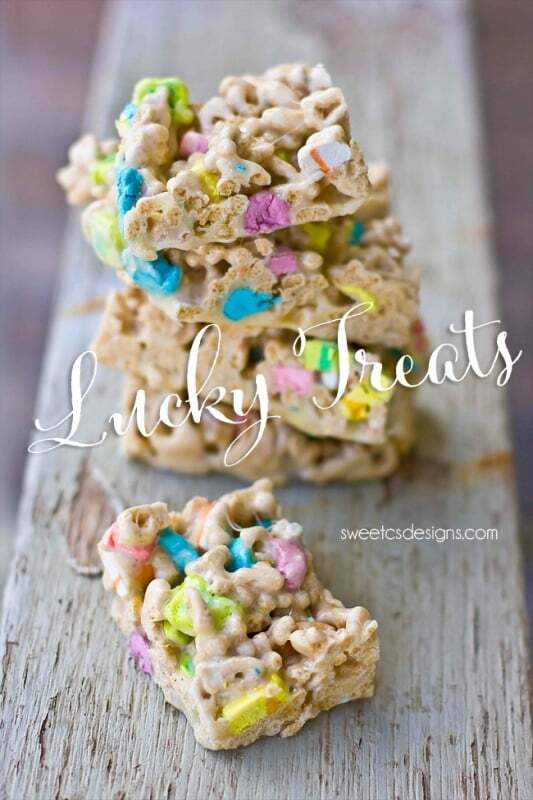 If you love these easy homemade lucky charms treats as much as I do, please give it a five star review and help me share on facebook and pinterest! 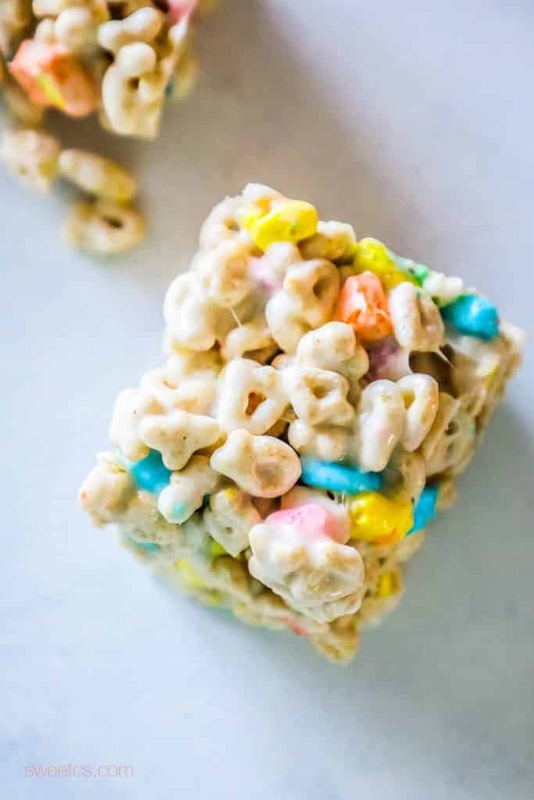 The perfect way to celebrate Saint Patricks day with kids - these Homemade Lucky Charms Treats are a great snack kids can make and perfect for school parties! 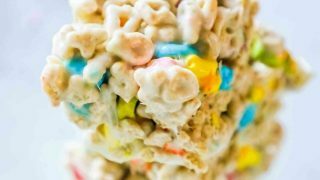 These fun Lucky Charms treats are no-bake, take just a few simple ingredients, and look party perfect! In a large pot, add butter and begin to melt on medium. Add marshmallows and stir constantly until mallows melt. You may see slight browning- if your mallows aren't fully melted as the sugar browns, pull them off the stove and continue stirring. They should melt from the heat. Add lucky charms to pan and stir well to combine. Pour mixture into well greased casserole dish and let cool. When set, cut and enjoy! can we freeze them for a month ? Hey Amanda – If you freeze them, I wouldn’t cut them into squares, so less of the bars are open to frostbite/drying out. Make sure you take all the extra air out of whatever bag you use to freeze it in, and let it refrost naturally (probably on the counter, outside of any bag it was frozen in). The only issue that might arise when defrosting is the rice cereal getting soggy from ice crystals – so i’d put it on a cookie cooling rack or something that will let any water drip down from the treats. Thanks for recipe! Great for a quick dessert with things I had on hand. I also used a glass bowl and heated in microwave, as per suggestion below! I use the largest bowl Tupperware makes and melt the butter and marshmallows in the microwave. It’s faster and easier to clean up, too. These are ridiculously good! Someone brought them to work yesterday, made with green Lucky Charms for St. Pat’s Day. I bought the cereal and marshmallows today and made a double batch! I like them much better than the rice krispie version. I used the special edition lucky charms with all green clovers and had the idea of melting a small handful of the dark green ones with the mini marshmallows. It turned into a bright green goo that looked awful at first bit not too bad once pressed into casserole. The problem is that you can’t see the unmelted charms too well. The treats in this recipe look much better and may have been great with all green clovers. The lesson is that I wouldn’t recommend melting the charms as I did because it also seemed to thicken the melted marshmallows. Thought I’d mention this in case anyone had the same idea. Great tips! And really, these would be delicious year round… so you’ll have to try it again!